Holy smokes, I’m tired. I’ve now been through most of MN, down into and across Iowa, and back up north in MN. I’m writing back very close to where I started on Saturday night, Minneapolis. Sunday morning I sat with the worship band and did some special music at Crossroads Covenant Church in Forest Lake, just outside of St. Paul. They got about 7 inches of snow and many people (including our lovely hosts!) lost power for a lot of Saturday. With the Christmas decorations up and all the snow, we are having a hard time remembering what month it is! 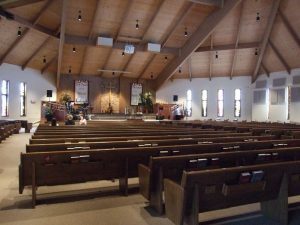 Right after the services we ran away because I had to be at a sound check for a concert in Eagle Grove, IA by 5. It took just about that long to get there, but we drove out of the snow pretty quickly and had no problem. I have to tell you, this was the weirdest coincidence. 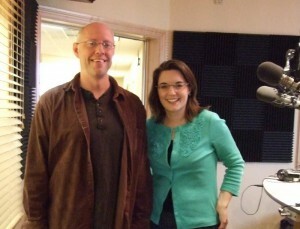 The station there has been really supportive of my ministry and set up a concert. I have a friend 3 doors down from me here who has family in Iowa and her daughter is my daughter’s best friend. She asked where I was going in IA and when I told her she said, “No, really, where are you going?” She thought I’d been stalking her Facebook or something to find out where her family was – they live there. She told me she’d find out her mom’s church and see if I could play there, but I told her the station had already set it up. It turned out to be her mom’s church! That was crazy – out of all of Iowa! Then her mom asked us to stay with her, and my mom and I agree that we are now adopting my friend’s mother – she’s ours. She was just darling. 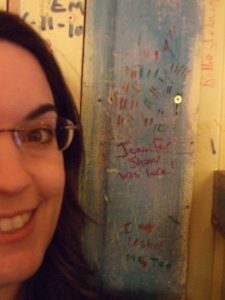 The show went so well, the people were just lovely, and it was great to meet Jay from KJYL in person – we’ve talked on the phone and done an interview, but it’s always great to put a face to a name. 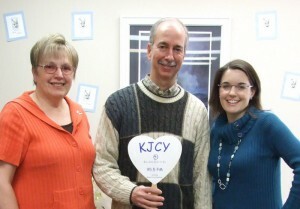 Yesterday morning we drove to Mason City, IA and met Scott Merry and Diane Thome at KJCY, Mason City, IA and I did a little interview there. They’ve also been great supporters, and I so appreciate it. After that visit we drove north again, all the way back to Minneapolis and then northwest up to Alexandria. There was a little reception there with the women’s group I was singing for that morning and it was so fun to talk with these women and see where God was leading them and their group! 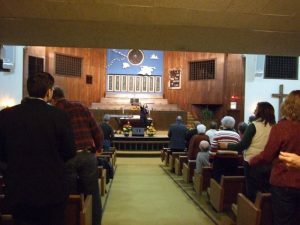 The next morning I went to sing and the church had a large funeral going on, so we were bumped out of the room we had which also had all the equipment. That was interesting, but flexibility is a virtue and we all made it work. 🙂 We just loved being with this group – they are new, and have such a heart for what God is doing and for following Him. It really touched me. 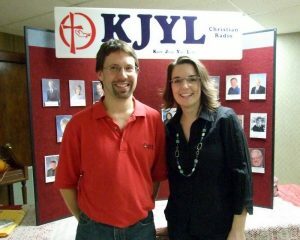 After that we went to Osakis to visit KBHL, and I really enjoyed seeing the station and meeting Jack and the other people there and hearing about their ministry. That morning so many of the women had told me how much this station meant to them, I was really happy to get to see it. This entry was posted on Tuesday, November 16th, 2010 at 11:06 pm	and is filed under News. You can follow any responses to this entry through the RSS 2.0 feed. You can leave a response, or trackback from your own site.